You are here: Home / Featured / The Best Spider-Man vs. the Vulture Comics! 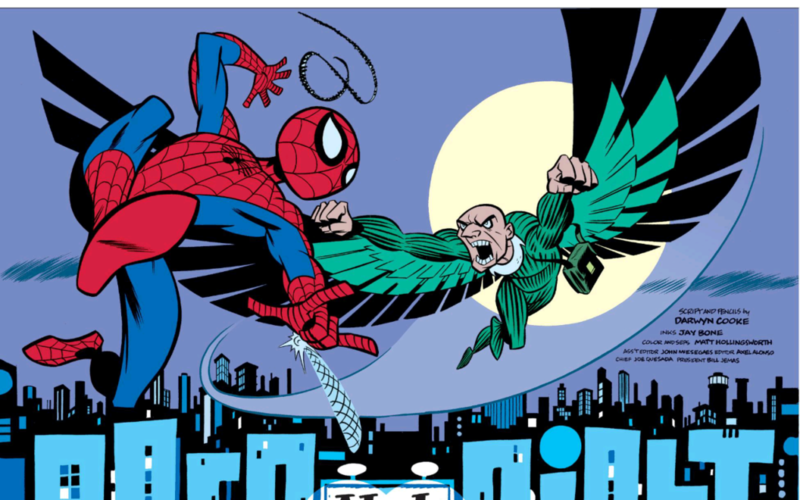 The Best Spider-Man vs. the Vulture Comics! After five Spider-Man movies (and a Captain America 3: Civil War appearance), the Vulture’s finally ready to make his first cinematic appearance in Spider-Man: Homecoming. Sure, good old Adrian Toomes was reportedly going to be played by John Malkovich in the apocryphal Spider-Man 4 (directed by Sam Raimi), but the wait for Michael Keaton and Iron Man cameos appears to have been worth it. As that delayed film entrance suggests, the Vulture has had a tough time maintaining A-list (or even B-list) Spidey villain status, which is exactly the sort of thing that would drive this jealous avian menace wild. Nonetheless, Vulture is actually the second recurring supervillain Spider-Man ever faced (in Amazing Spider-Man #2), and a founding member of the original Sinister Six (in Spider-Man Annual #1). There’s never been a better time to enjoy Spider-Man comics through the ages with a focus on his aerodynamic, age-challenged nemesis. 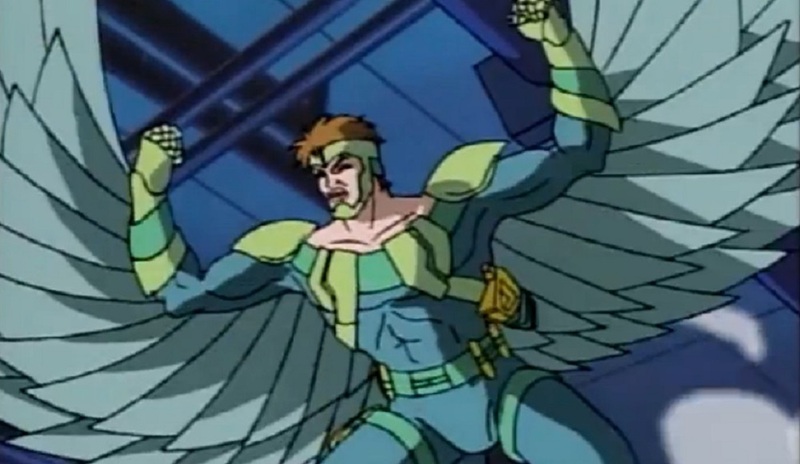 Adrian Toomes appears to die in prison, but not before revealing the location of his wings to Blackie Drago, who takes on the role of the new Vulture. Drago never surpasses Toomes as the Vulture for me, but these issues do feature a classic super-villain team-up gone wrong (is there any other kind? ), with Kraven the Hunter. Toomes is back and mad at Blackie Drago! I got every intention that Romita and Lee actually intended to off Toomes in favor of a younger Vulture, but a mere fifteen issues the original geriatric genius is back! “The dark wings of death!” The Vulture appears to be on a murderous rampage and only Mary-Jane Watson can testify as a witness! One of those times Peter Parker comes across like a total pompous fool to MJ. It’s a wonder she ever said yes to marrying him. The first of Roger Stern’s takes on The Vulture. Transforms him into a villain with clearer Kingpin interests. Sure, the Vulture’s rule of the New York mafia never really takes flight (hee), but it’s interesting to see him try. “Let Fly These Aged Wings.” Vulture breaks out of a nursing home, in perhaps the most on the nose and excellent poke at Vulture’s extensive age. An excellent issue from Stern, with oft-forgotten but long-lasting ramifications for the Parker family. Vulture lashes out at an old business partner for stealing his technology, in what would become one of the most frequently used tropes in non-comics media appearances. From the 90’s Spider-Man The Animated Series to the late 2000’s Spectacular Spider-Man, Adrian Toomes always begins his descent into villainy after being crossed in the corporate world (usually by Norman Osborn). Louise Simonson and Greg LaRocque’s opening salvo on Web of Spider-Man introduces the Vulterions, a trio of prisoners who memorize Vulture’s flying technology designs in prison. Actually one of the more entertaining takes on the legacy of the Vulture. 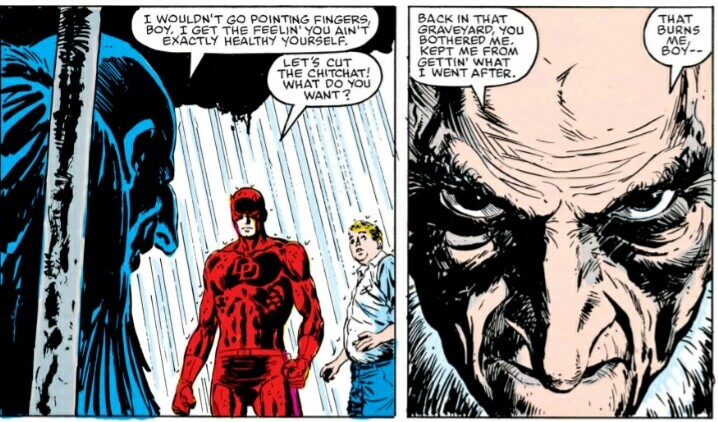 Denny O’Neil and David Mazzucchelli deliver a Daredevil vs. Vulture throwdown, with some of my absolute favorite 80’s Vulture art. Vulture’s Acts of Vengeance crossover appearance in New Mutants (by Louise Simonson and Rob Liefeld) might be the most gloriously villainous the ornithological oldie had ever been. Reading all of Acts of Vengeance is generally a good idea, but honestly you can just jump straight into this one and enjoy a wild ride. Return of the Sinister Six by David Michelinie and Erik Larsen, where Vulture proves himself the only member sensible enough to suggest attacking Spider-Man all at once instead of one at a time. Revenge of the Sinister Six by Erik Larsen. David Michelinie and Mark Bagley in the comic book story that would fuel the 90’s Animated “Neogenic Nightmare.” Vulture develops technology to sap victim’s youth directly into his body, giving us the toyetic Young Vulture for three issues. Kurt Busiek “lost” Vulture stories. Spidey vs. Vulture in the 2000’s! #11 is a Valentine’s Day farce by Darwyn Cooke (with likely the happiest ending the Vulture ever gets in any comic book), and #13 is a seedy villain bar with Vulture, new Kraven, and a mysterious figure swapping stories of Spidey. Both well worth the read. If you’ve followed Comic Book Herald long enough (perhaps in the My Marvelous Year reading club) you know I try to champion this blatant The Usual Suspects homage any chance I get. That’s partially because it’s one of the best Vulture stories in the modern era, with perhaps his greatest victory in comics. A Peter David written story in the wake of Spider-Man revealing his identity to the world in Civil War #2. Vulture uses the information to lash out at Deb Whitman (Spider-Man’s ex-girlfriend and author of a tell-all confessional) to draw out Peter, who of course happens to be in attendance. Vulture would almost certainly like to pretend these issues never happened, with Kraven the Hunter displaying Vulture in his animal-themed villain super-zoo.